“ಚಾಣಕ್ಯ !”… ಹೌದು! ನಾವಿಕ 2015 ರಲ್ಲಿ ವಿನೂತನ ಶೈಲಿಯಲ್ಲಿ “ನಾವಿಕ ಚಾಣಕ್ಯ” ರಸ ಪ್ರಶ್ನೆ ಸ್ಪರ್ಧೆಯನ್ನು ಏರ್ಪಡಿಸಲಾಗಿದೆ. ಎಲ್ಲರಿಗೂ ತಮ್ಮ ಕನ್ನಡದ ಕಲೆ, ಸಂಸ್ಕೃತಿ, ಮತ್ತಿತರ ವಿಚಾರಗಳ್ಳಲಿನ ಮೇಧಾವಿತನವನ್ನು ತೋರಲು ಇದೊಂದು ಸದವಕಾಶ. ಬನ್ನಿ ಬಂದು ಭಾಗವಹಿಸಿ ನಾವಿಕ ಚಾಣಕ್ಯರಾಗಿ!! Chanakya (350 BC – 275 BC) was an ancient Indian teacher, philosopher, economist, jurist and royal advisor. Navika – Chanakya derives the name from this great strategist! 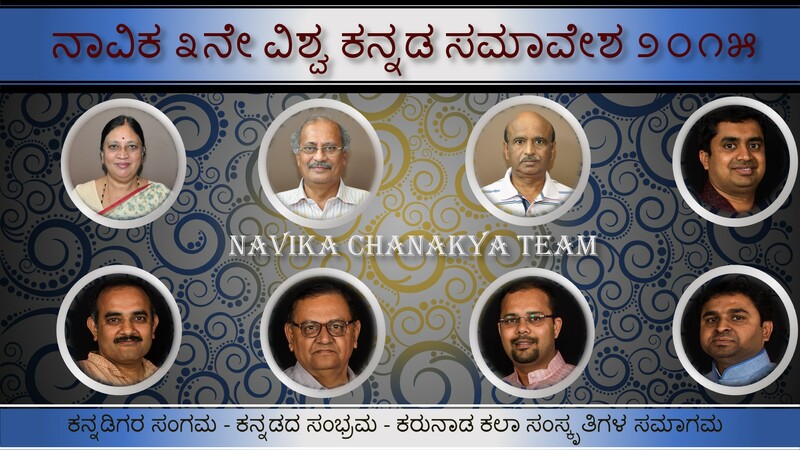 Navika – Chanakya is the friendly Quiz contest to identify the most knowledgeable participant on topics related to Kannada and Karnataka. Test the limits of your knowledge and your ability to connect multiple facts. Showcase your talents and discover with the rest of us the amazing facts about everything related to our language Kannada and our state Karnataka. Win fantastic prizes by participating in the exciting Karnataka themed quiz contest in Navika 2015!!! Contact e-mail for Navika-Chanakya for registration: chanakya@navika.org. Please register for Navika 2015 before registering for this event. Please provide your Name, Age, Mobile number for registering.